In A Life of Joy, the fourth installment in the series, eighteen-year-old Lindsay Bedford has reached a crossroads. Should she stay in the small Amish community she's known and loved for four years or return to the English life in her hometown in Virginia where her older sister is a college student? An extended visit to Virginia might just tip the scales as Lindsay reconnects with friends, joins a new church, works on her GED, and is pressured by her sister to stay and ‘make something of herself.' Will Lindsay leave her aunt Rebecca and become English or settle in Bird-in-Hand and join the Amish church? 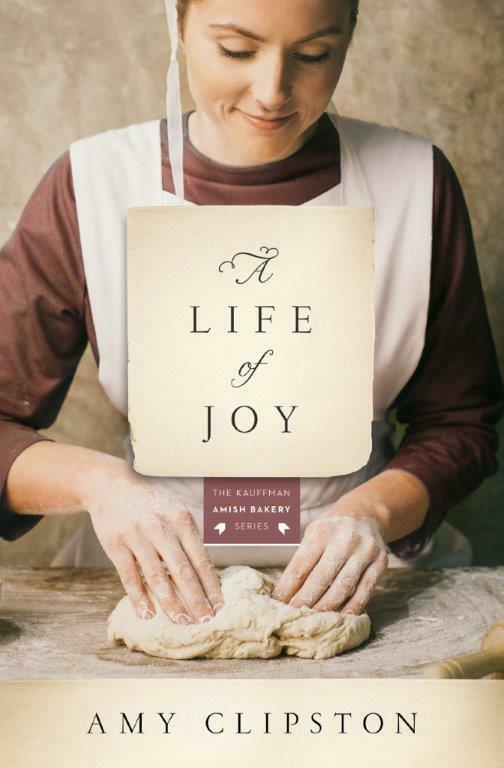 When I wrote A Life of Joy I enjoyed bringing the Kauffman Amish Bakery story back to Lindsay Bedford and exploring how much she’d grown in four years. She was my favorite character in A Gift of Grace. I also had fun writing about Virginia Beach, since I lived there for fifteen years before moving to North Carolina. A Life of Joy is dedicated in loving memory to my grandparents, Emil and Emilie Goebelbecker.